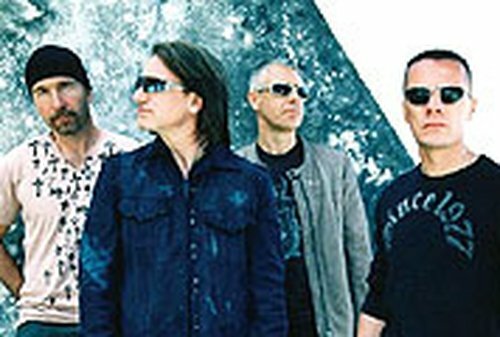 U2 were the big winners at the Meteor Ireland Music Awards in Dublin last night, winning awards in three categories. The quartet were named Best Irish Band and also took the awards for Best Irish Album for 'How to Dismantle An Atomic Bomb' and Best Live Performance for their Croke Park shows. The band were represented at the awards ceremony in Dublin's Point Theatre by bassist Adam Clayton. In total, 17 awards were presented at the ceremony, which featured performances from, among others, Westlife, Bell X1, The Pogues, Republic of Loose, Damien Dempsey, Gemma Hayes, The Darkness and Jamie Cullum. Hayes won the Best Irish Female award, while Best Irish Male went to Dempsey. Westlife were named Best Irish Pop Act with Humanzi winning the award for Best New Irish Act. The Kaiser Chiefs won two awards: Best International Band and Best International Album for their debut 'Employment'. Kanye West and Gwen Stefani won the awards for Best International Male and Best International Female. The Best Folk/Trad award went to John Spillane, while Laura Izibor was the winner of the RTÉ 2fm Hope for 2006 award. The Pogues were presented with the Lifetime Achievement Award; Bill Whelan was honoured with the Industry Award and Today FM's Ray D'Arcy was named Best Irish DJ. Fr Peter McVerry was presented with the Humanitarian Award, which included a cheque for €100,000 to aid his work with homeless young people. The awards will be broadcast on RTÉ Two at 9pm on Sunday, 5 February.